Trentham Scout Group run meetings for Beavers (6-8yrs), Cubs (8-10.5yrs) and Scouts (10.5-14yrs), each contains approximately 24 young people. For information on each section please visit their individual pages by clicking on the links at the top of the page. Trentham Scout Group is officially titled “114th Stoke on Trent & Newcastle, 1st Trentham, meaning we were the 114th Scout Group to be registered in this area. We are part of “Three Towns District” which looks after all the Groups in the south of Stoke-on-Trent. The site used as the Scouting Headquarters has been used for this purpose since 1975. The land is a brown fields site of 0.78 acres, formerly a railway line. Our building and grounds are available for private hire, for example parties, clubs, meetings. The Group is run by an Executive Committee, please contact us if you are interested in helping run the Group. 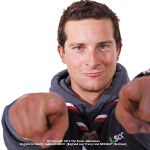 ‘For anyone thinking of becoming a Scout, I say, go for it, come and join the big adventure.’ – Bear Grylls. Volunteering for Scouting is easier than you think. Whether you can spare a few hours a week, a month a day or a year, we have hundreds of opportunities both behind the scenes and working with young people. With full support and training, you can experience the fun, friendship and adventure of Scouting for yourself, all on a flexible basis. If you are aged between 14 and 18 and wish to become a Young Leader, or, are over 18 and wish to help us as an Adult Leader please contact us and ask for the message to be passed to the GSL who will be happy to provide all the information. Once your booking is provisionally agreed please download the Booking Form and follow the enclosed instructions. Our HQ is set within secluded grounds including carpark and extensive grass area.